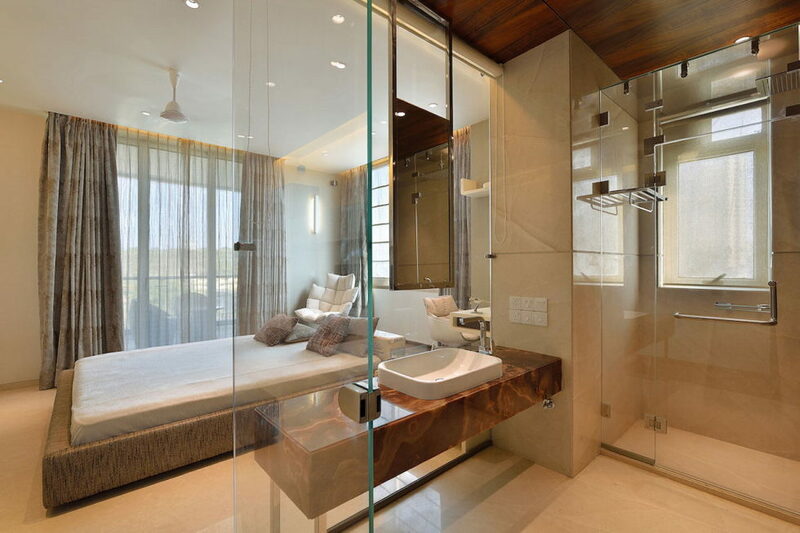 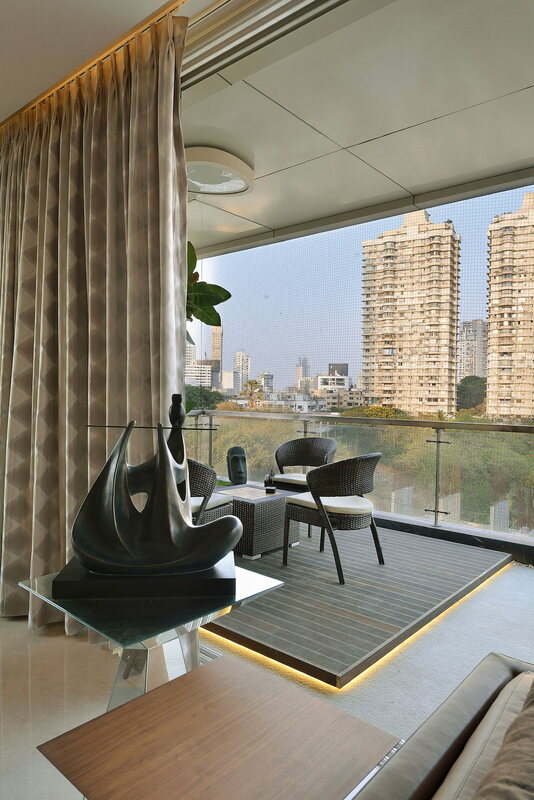 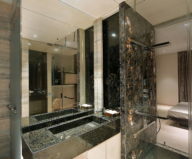 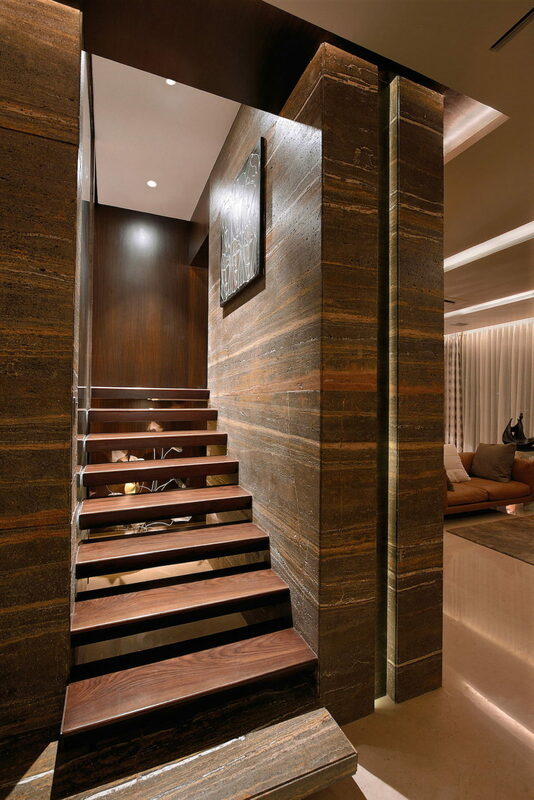 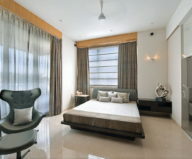 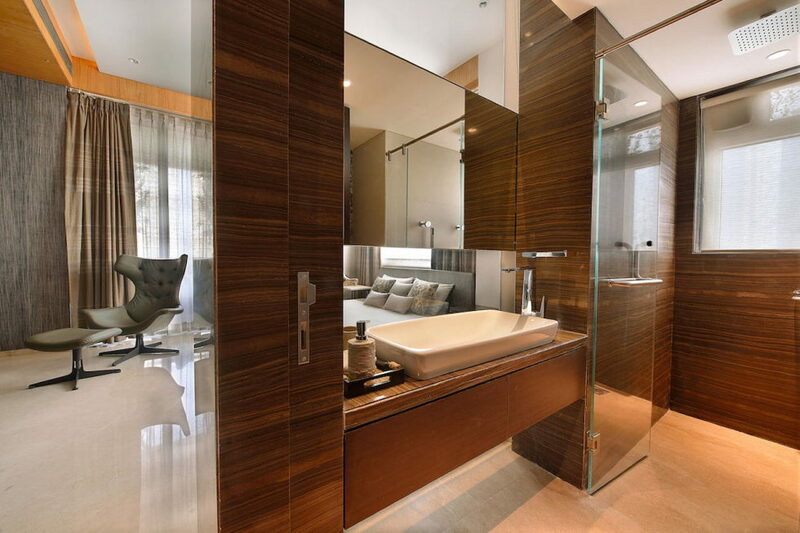 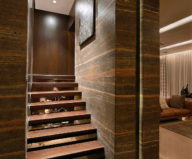 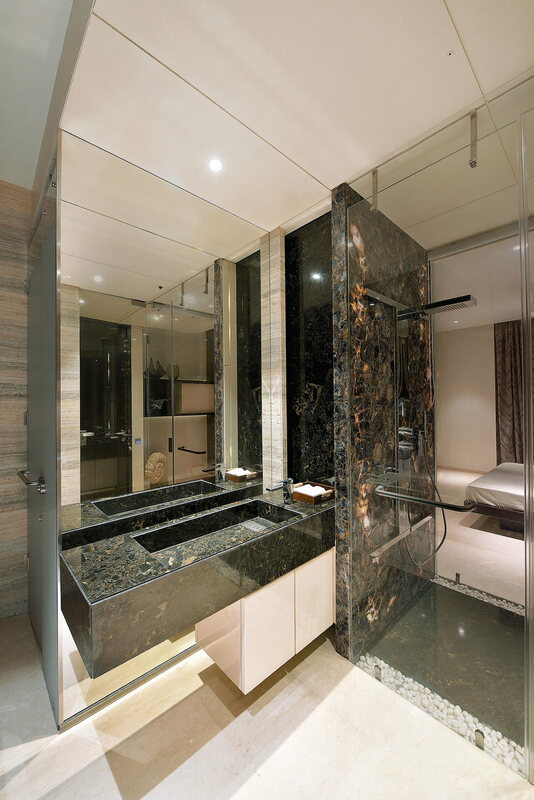 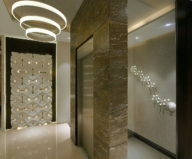 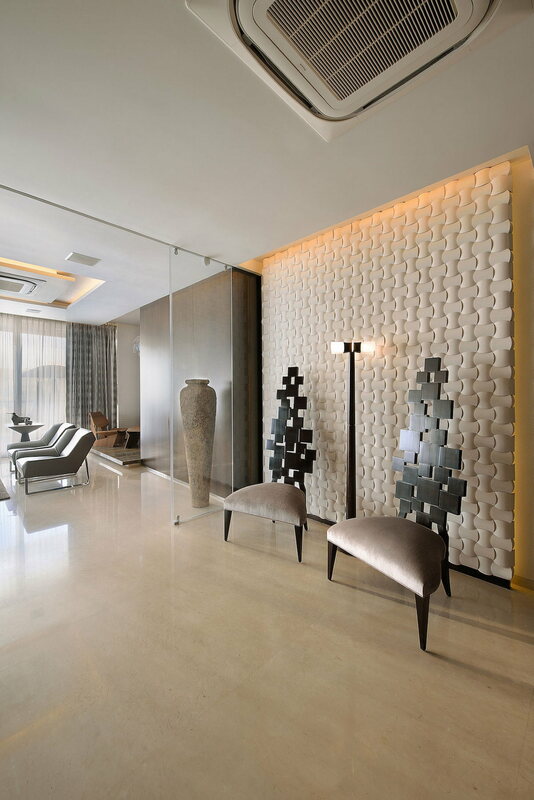 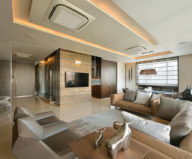 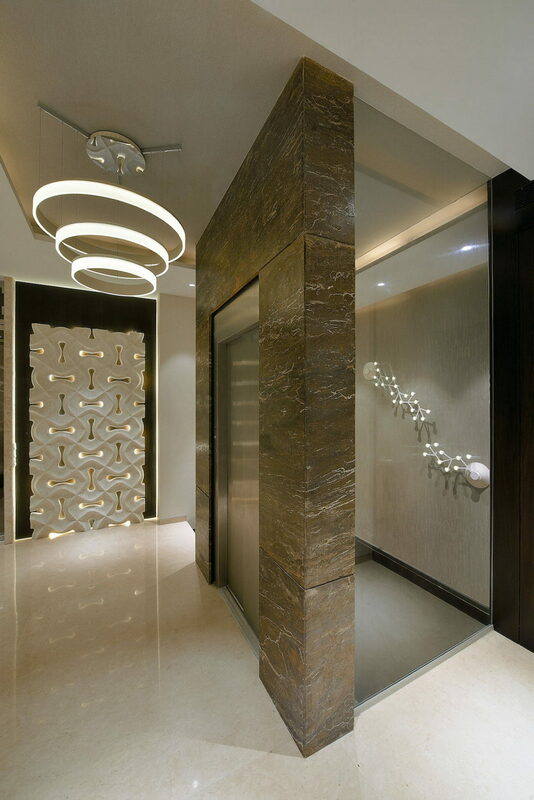 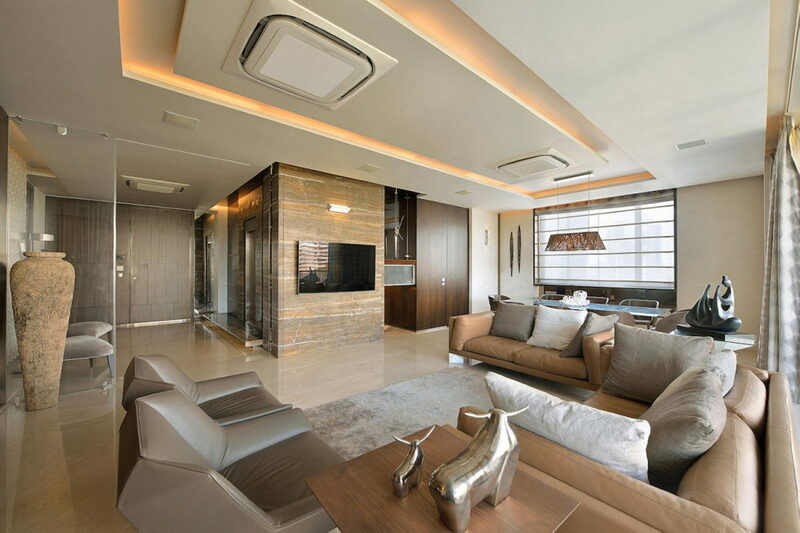 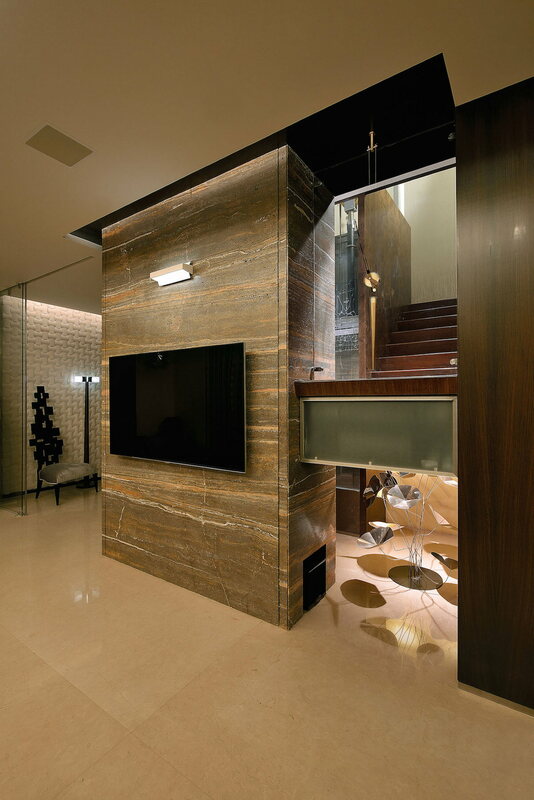 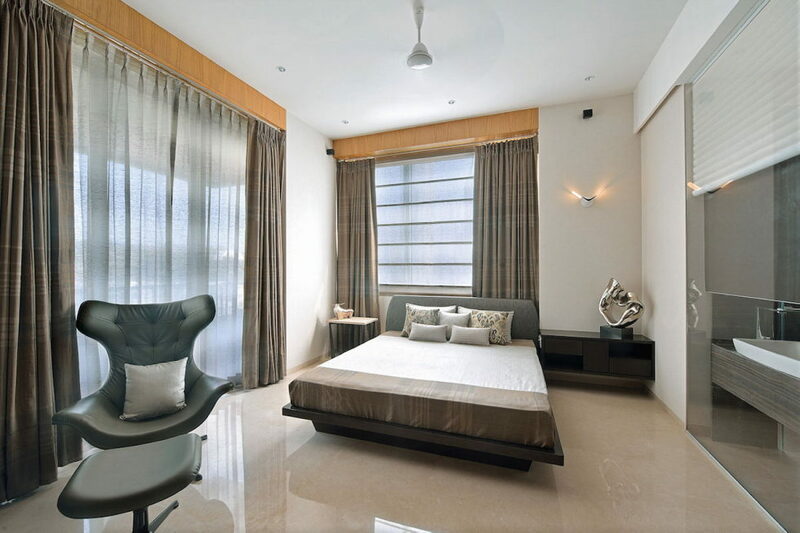 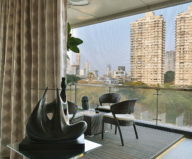 This stylish two-level apartment in Mumbai (India) was developed by the Space Dynamix design studio. 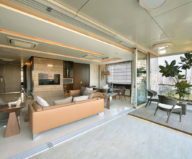 The residential area has 325 sq. meters and is made in the modern style with predominance of brown tinctures. 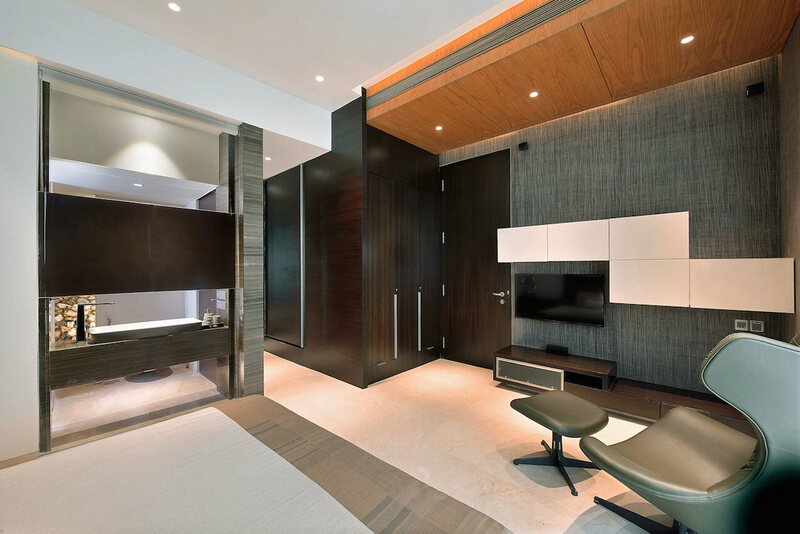 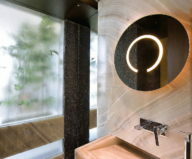 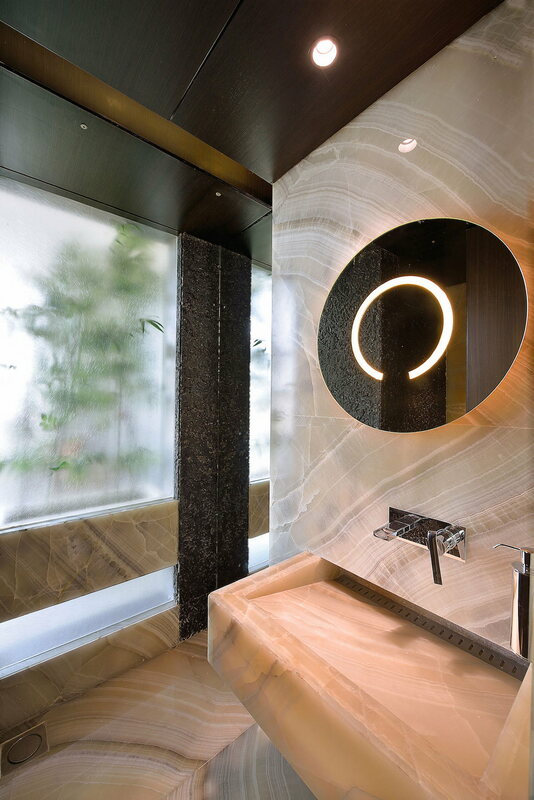 Monochromic palette makes the interior intimate and mysterious. 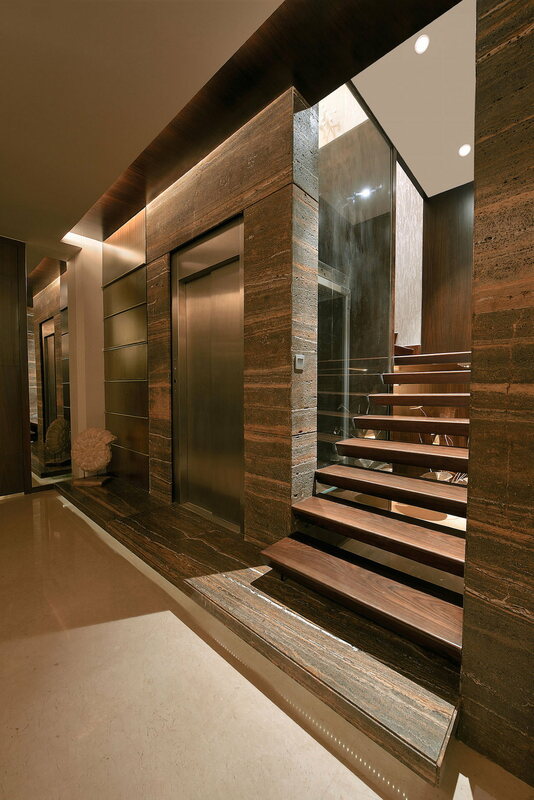 Use of natural travertine, beige marble and black wood in the finishing emphasizes the respectability of these residential premises. 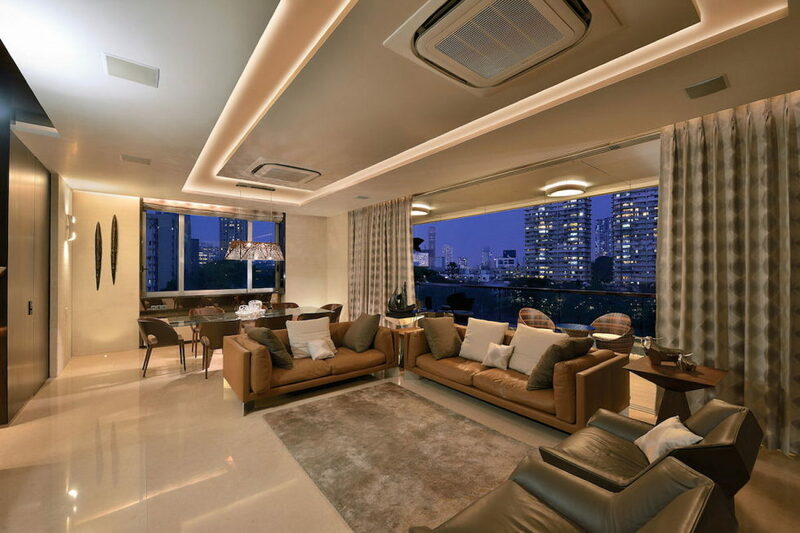 Moreover, luxurious furniture, exclusive décor items, as well as outstanding lighting fixtures and elegant textile create exclusive and noble atmosphere. 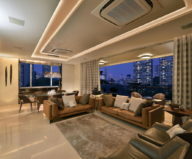 Excellent sea views, which are opened from one apartment`s side, and the forest, seen from its other part, make the dwelling especially attractive. 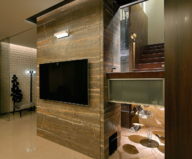 There is an entrance to the opened terrace from the living room. 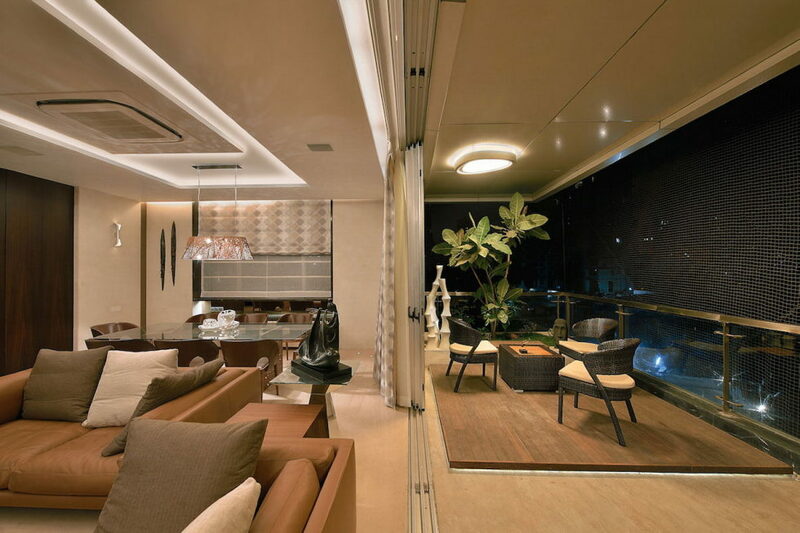 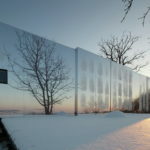 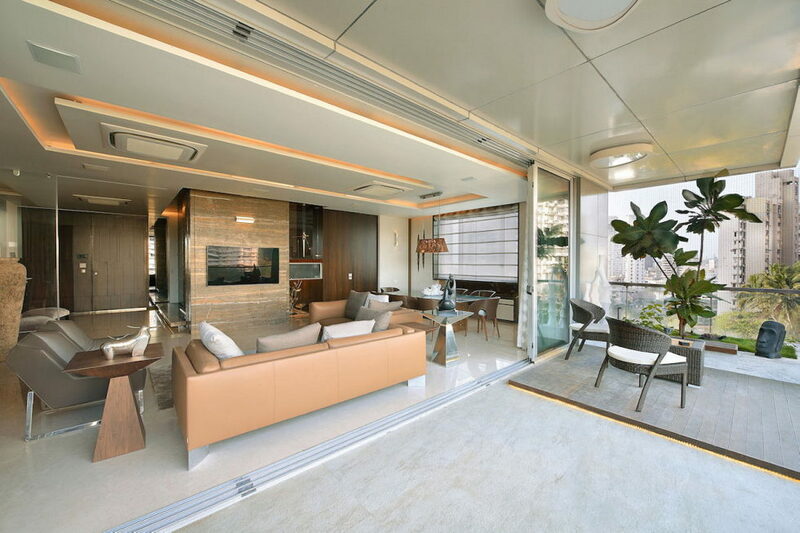 The sliding glass partitions make this entrance hidden and significantly increase the social zone`s square.